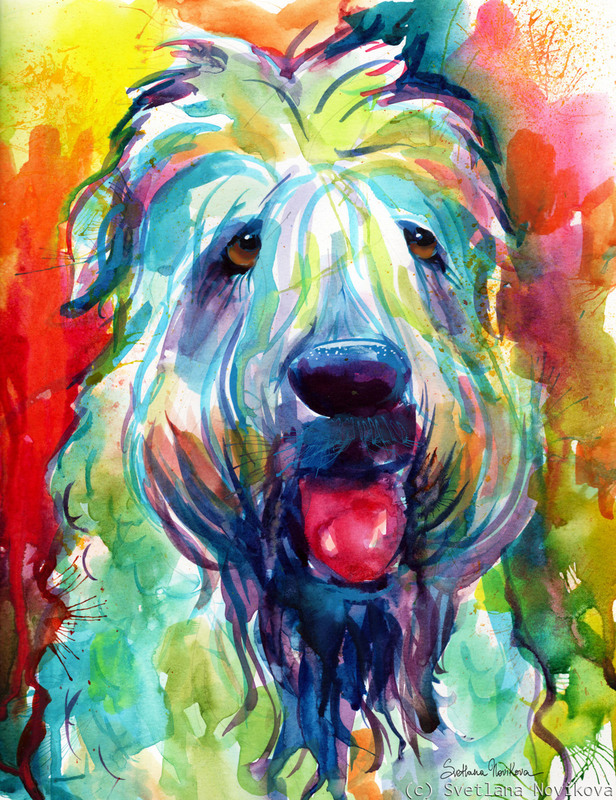 Watercolor Wheaten Terrier Dog painting by Svetlana Novikova, all rights reserved. Original is currently available for sale. Color on the original picture may look slightly different from colors on a monitor (image was adjusted for printing). I accept custom pet portrait commissions from your favorite photos.